There are no photos with those IDs or post 21532 does not have any attached images! 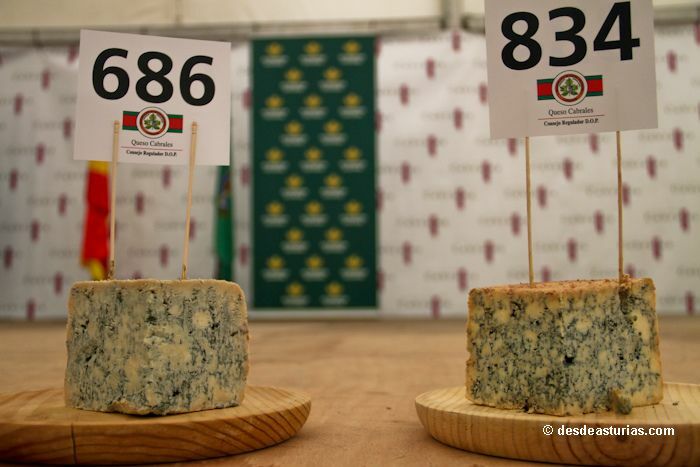 This August 26 a new edition of the Cabrales Cheese Contest is held in Arenas de Cabrales, number 48. Fans of gastronomy will come together to buy this precious milk jewel in the stands, while the professionals of the hotel industry will bid for the winning piece. In the last edition, the Couzapín cider mill paid 3.300 euros for the winning piece of the Arangas Livestock. An impressive figure that will be overcome this year. To date, the highest number paid in the auction was the 11.000 euros of 2016. The program of events includes a traditional parade accompanying Xana and the Senior Pastor, and a subsequent folk festival to the 17: 30 hours. The proclamation is at 12 hours, the awards ceremony at 13 hours and the Cabrales Cheese auction at 14 hours. Senior Pastor of the Peaks: Francisco I Hate I Bite.